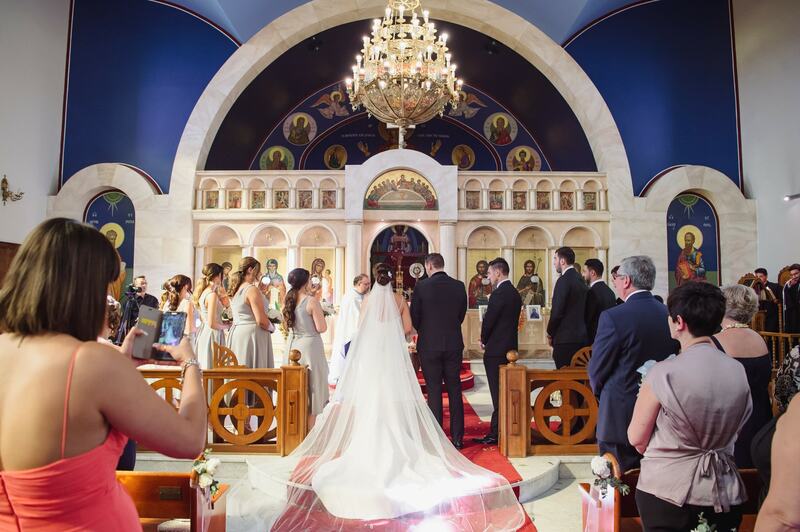 It was a Sunday celebration for Christina and Dennis when they were wed earlier this month. 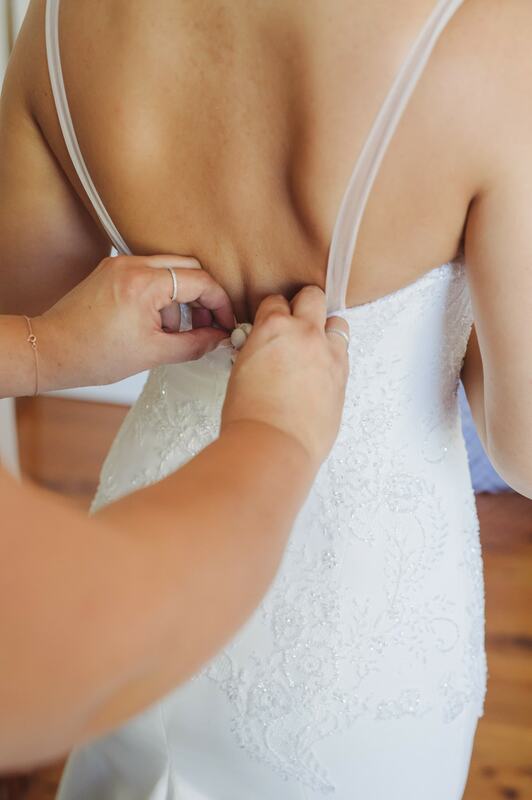 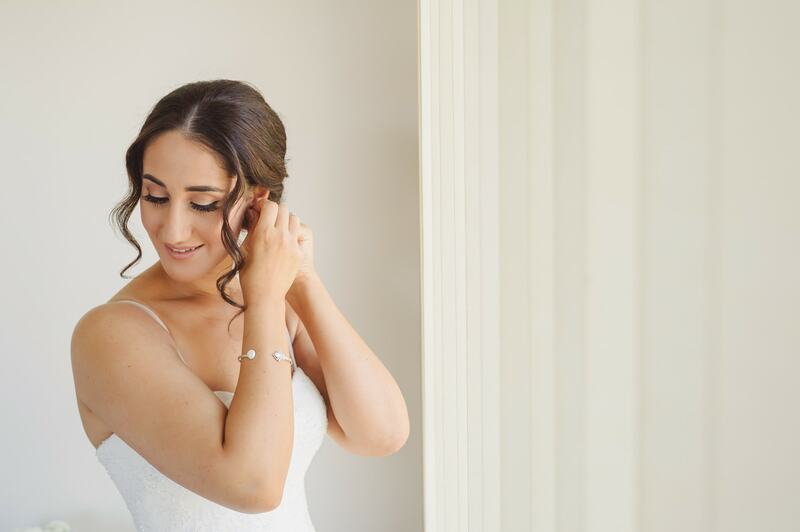 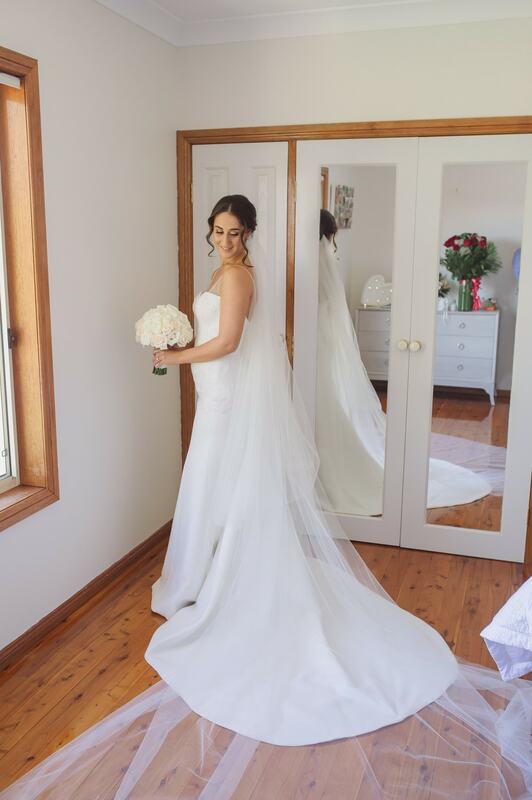 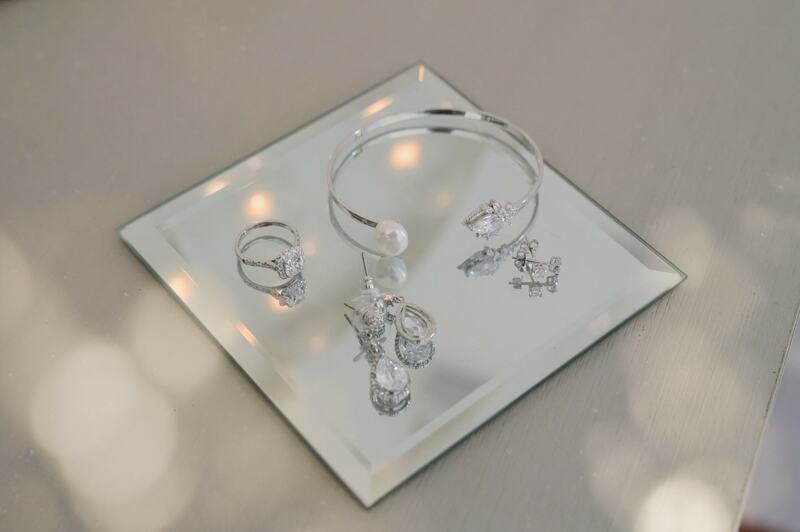 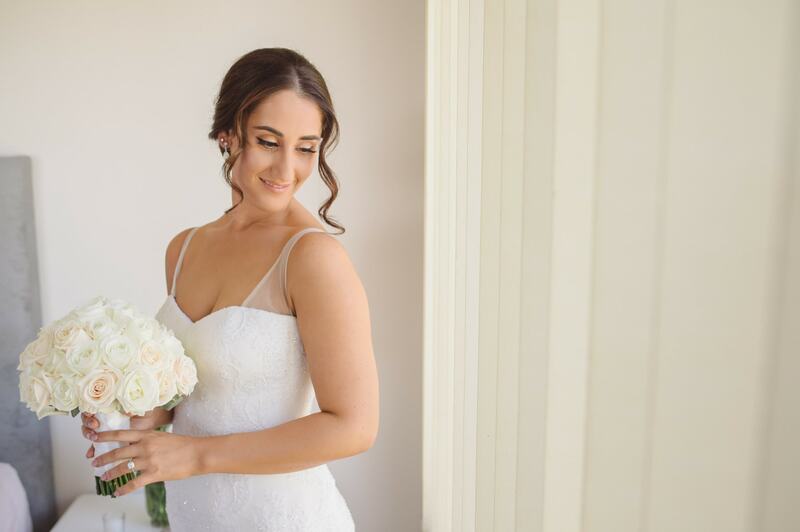 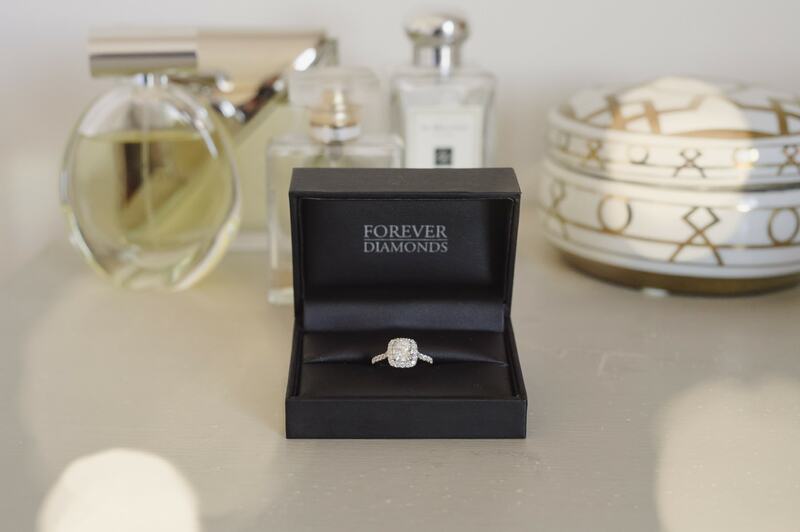 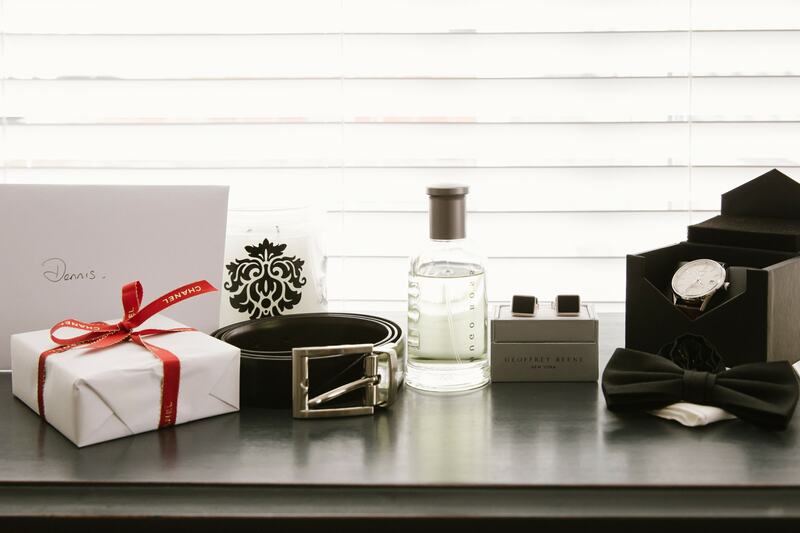 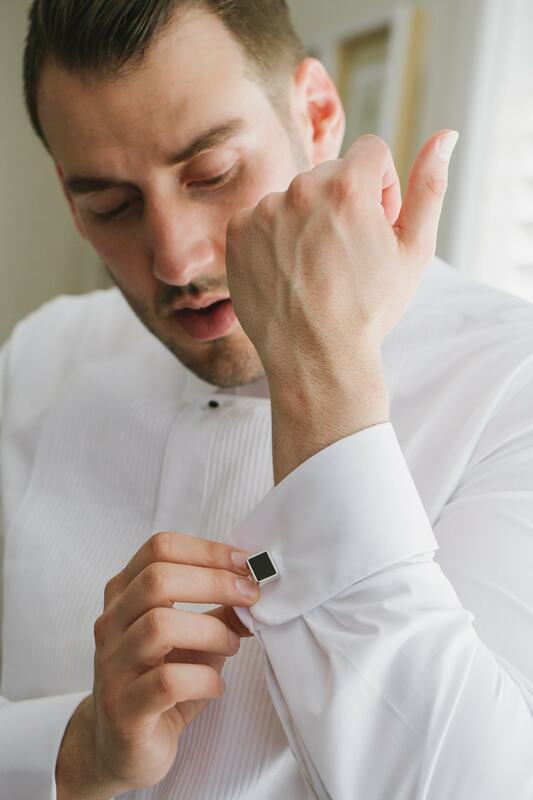 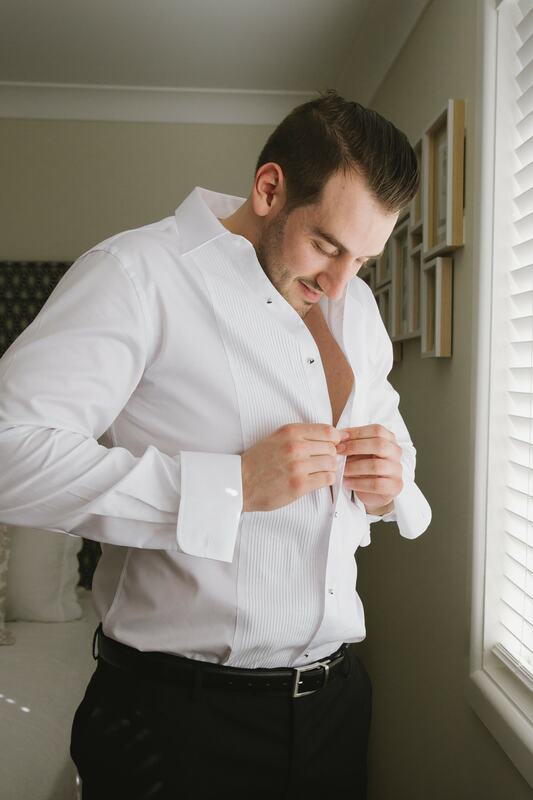 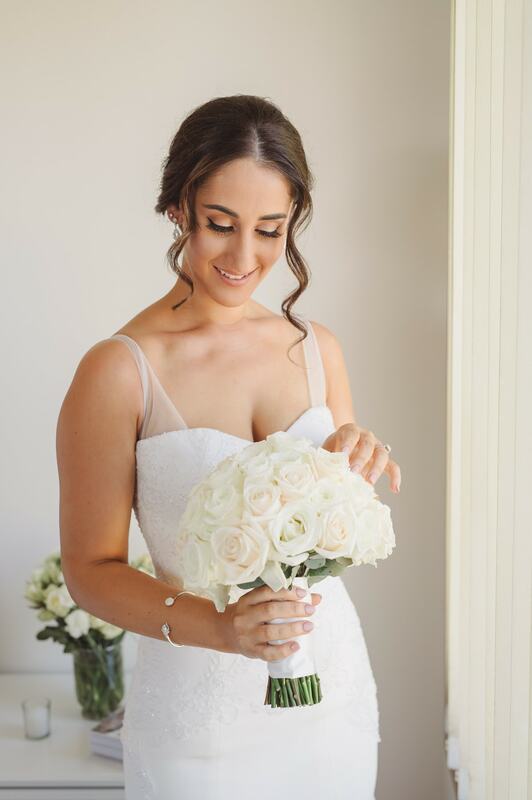 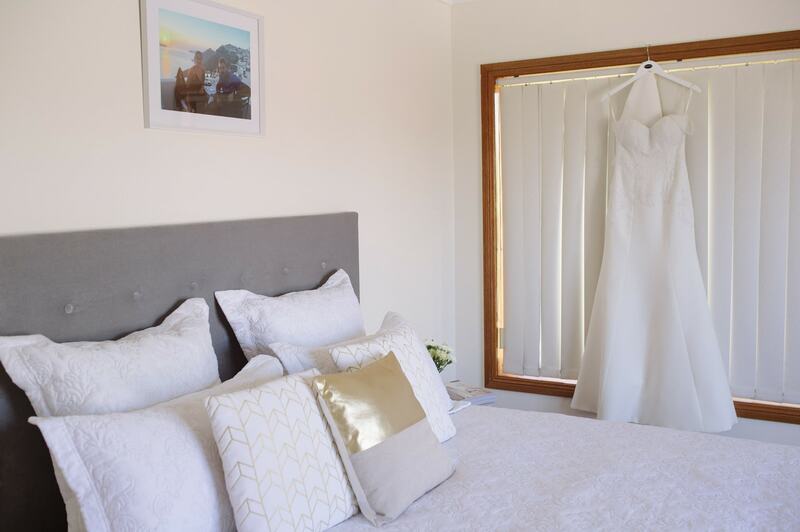 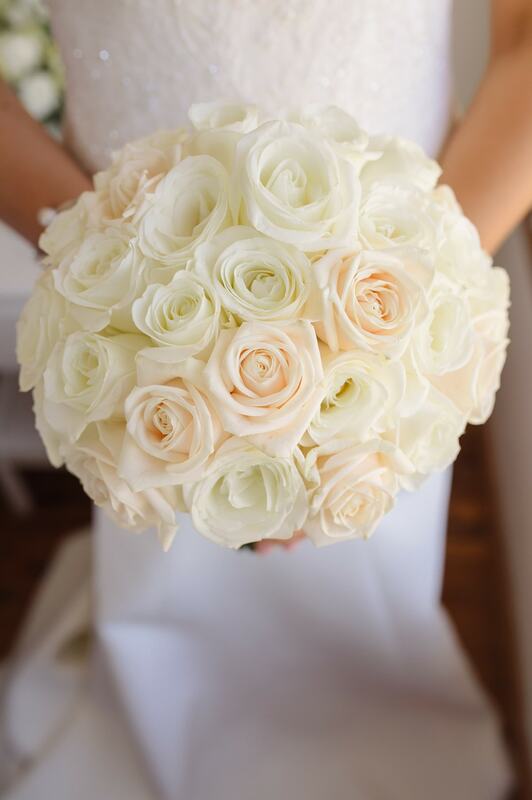 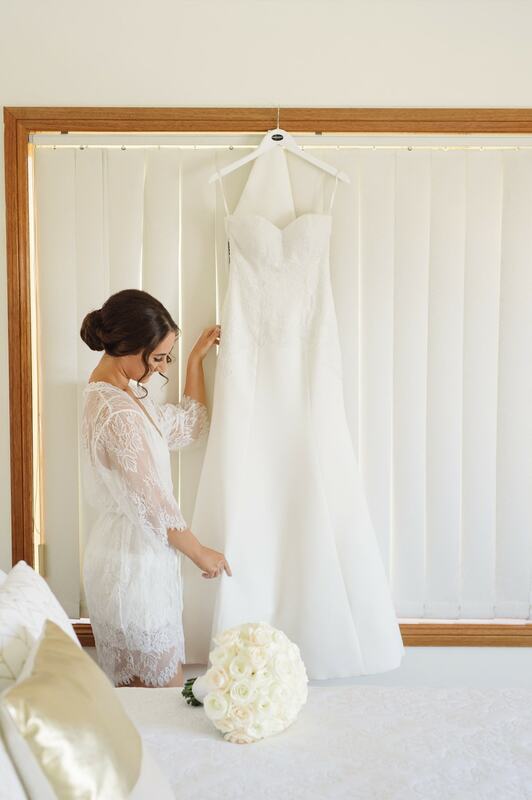 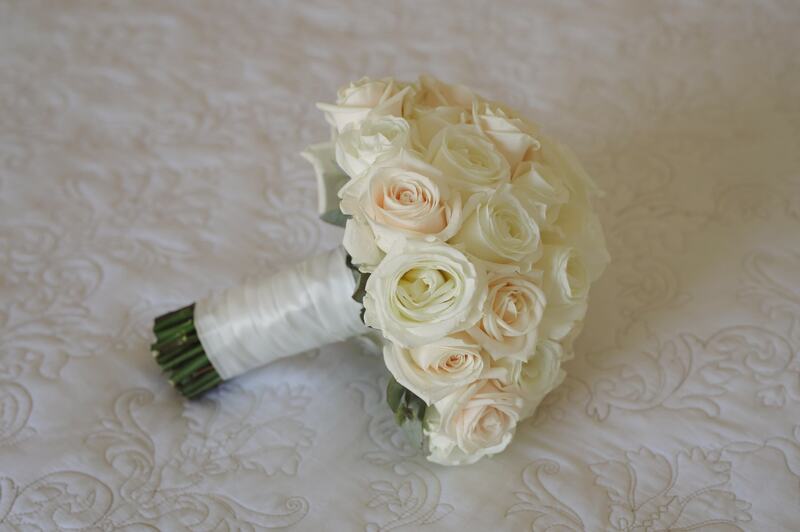 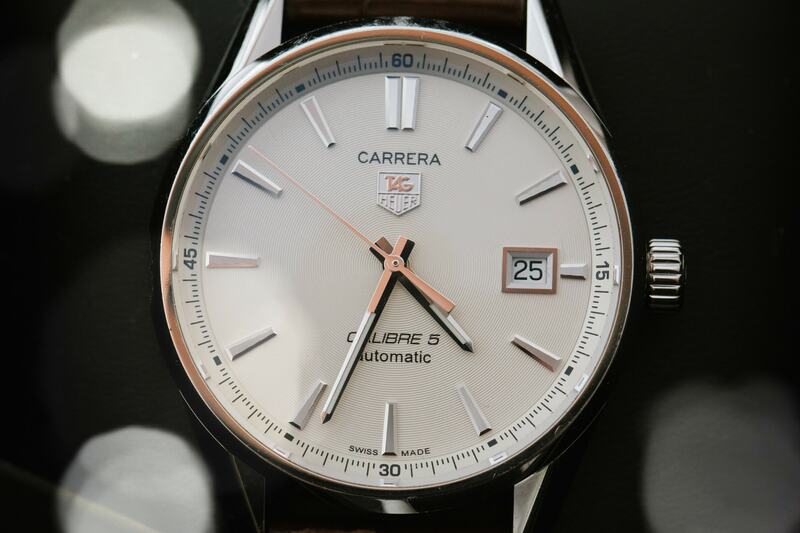 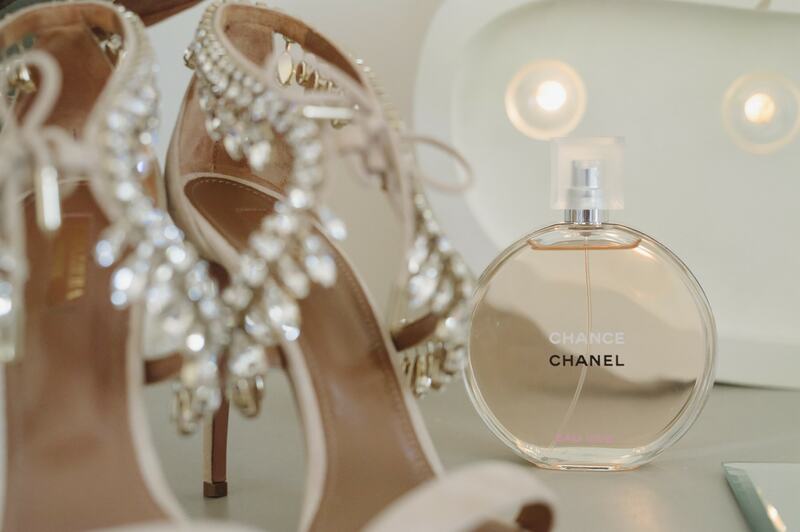 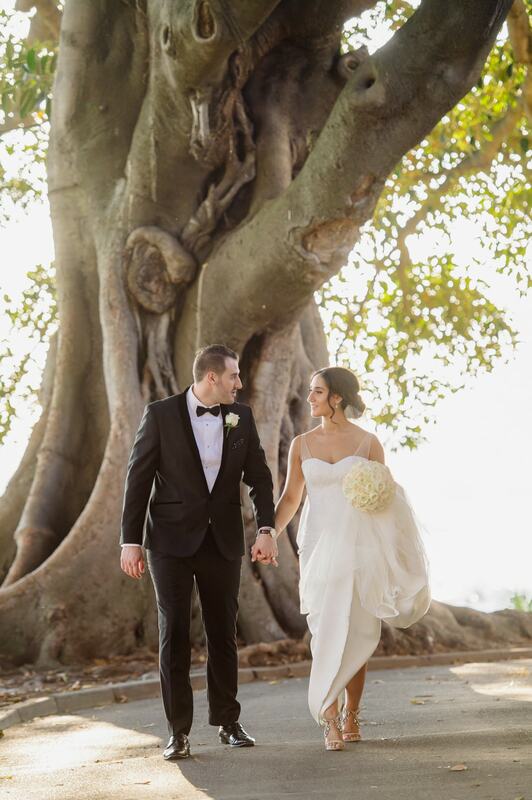 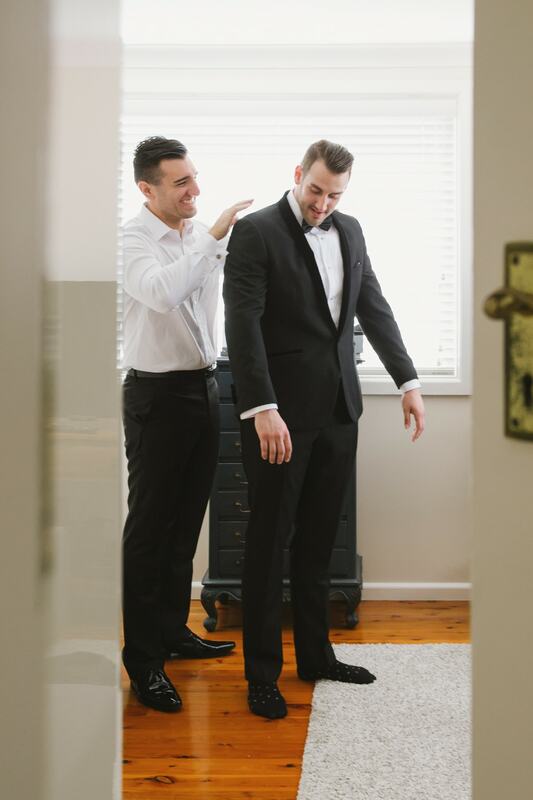 With over a decade of experience in Sydney wedding photography, we understand that your wedding day is the culmination of months of planning and organisation – which is why we like to record even the smallest details, right down to the bride’s perfume and the carefully chosen accessories worn by the groom. 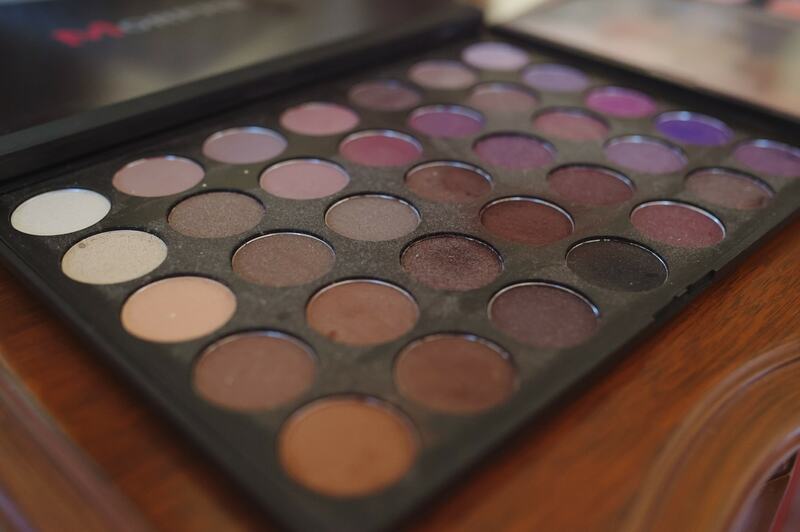 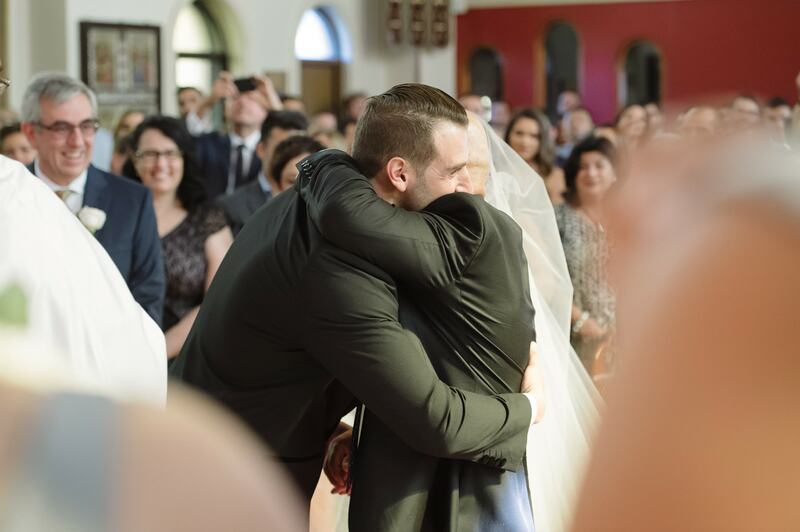 However, a wedding is also an ever-changing kaleidoscope of emotions. 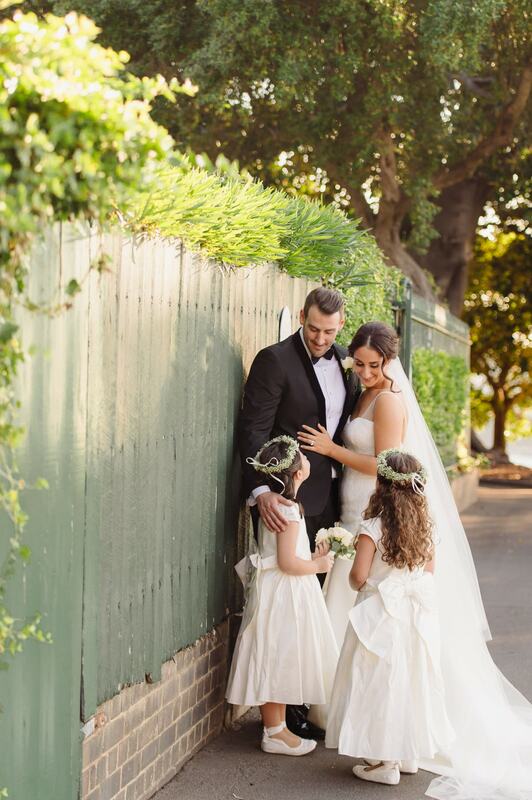 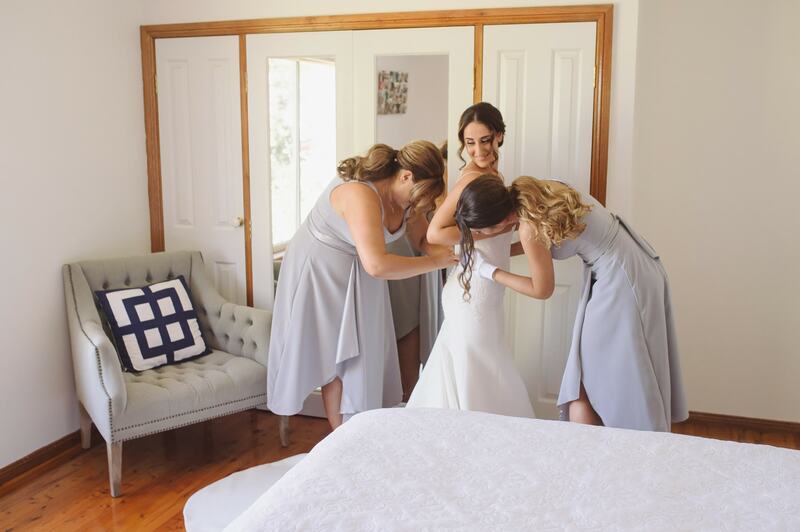 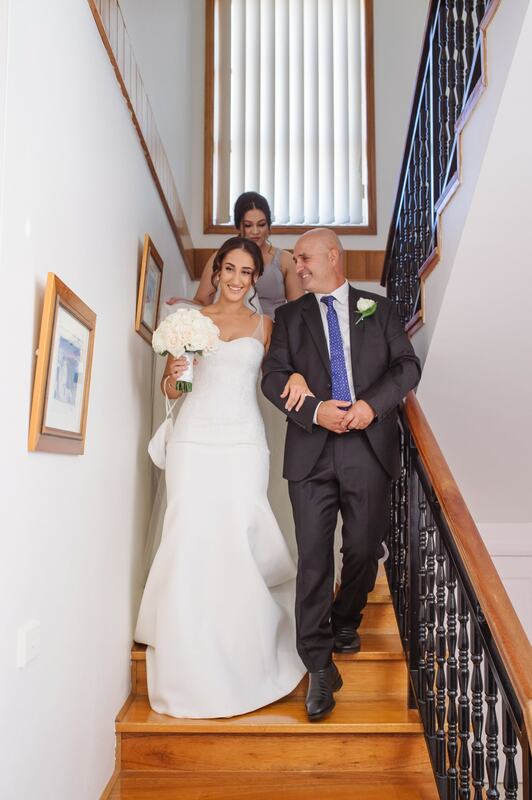 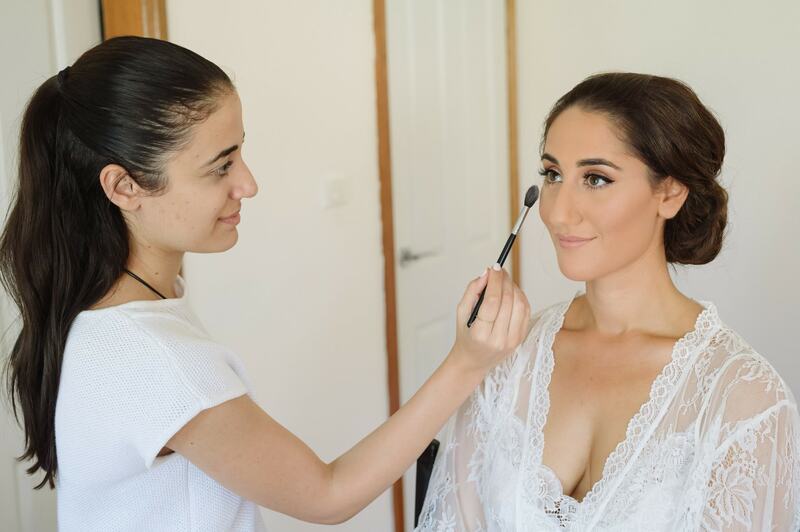 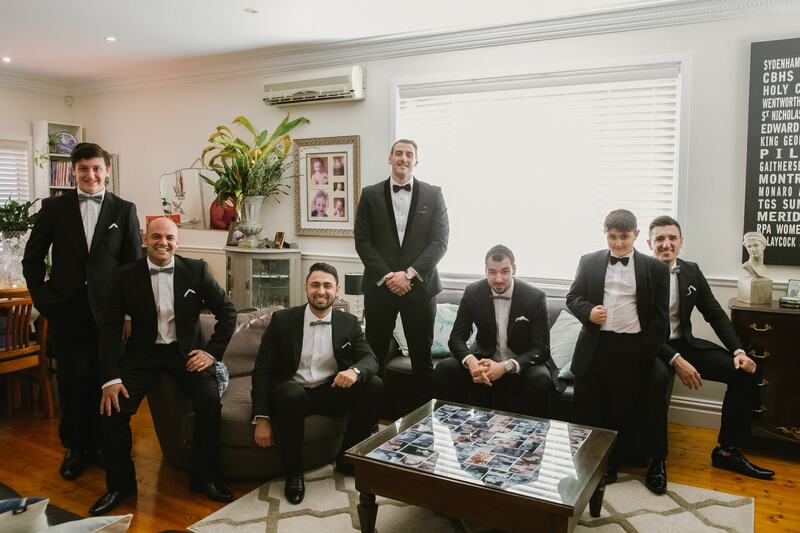 Often these moments are unscripted and unrehearsed, and we believe our role as your chosen Sydney wedding photographer, is to capture these gems for posterity. 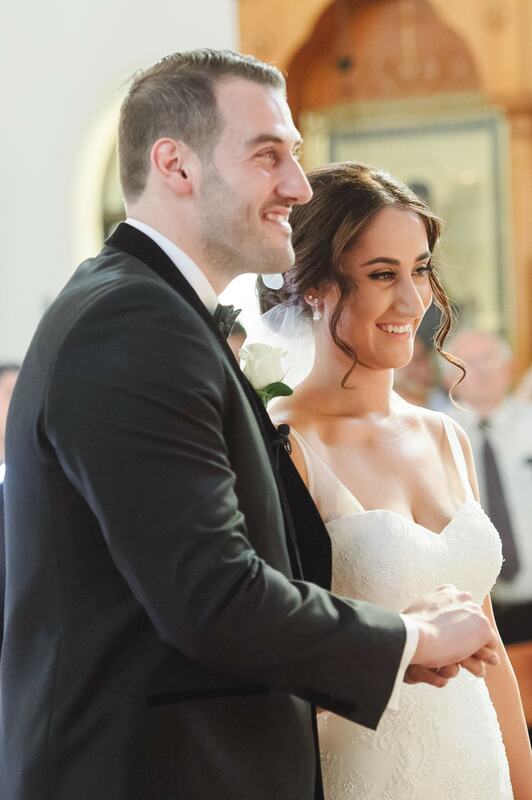 and the look of love which says it all, as Dennis and Christina take to the dance floor for the first time as man and wife. 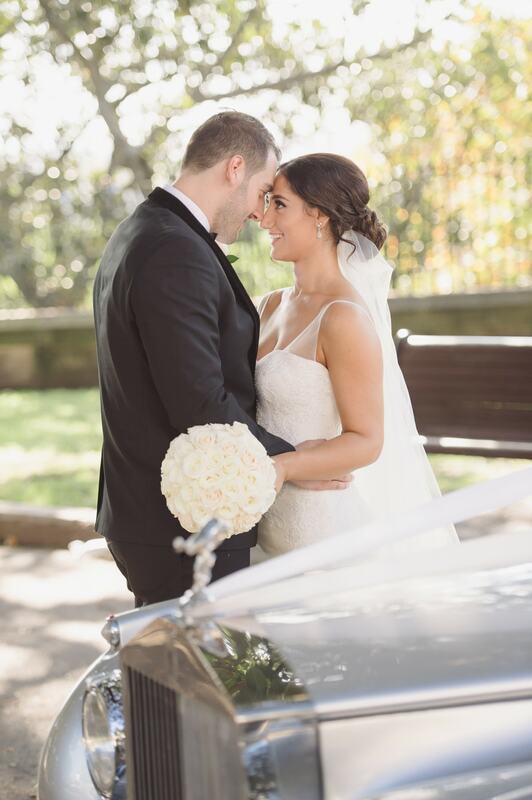 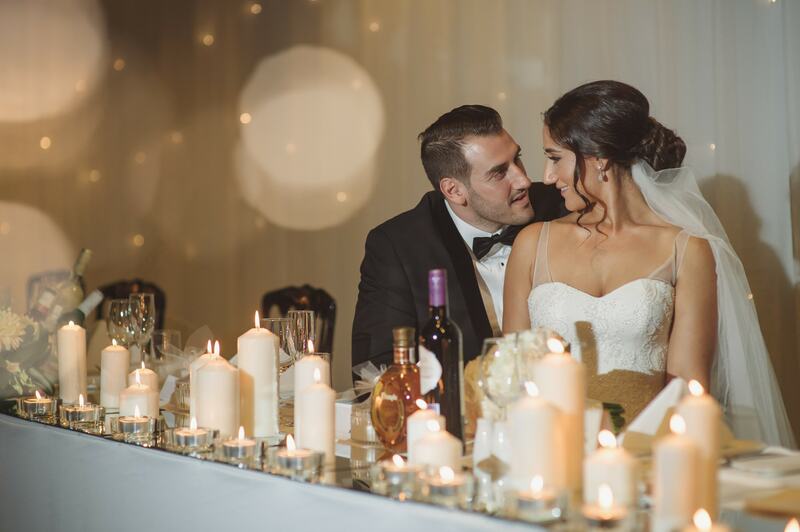 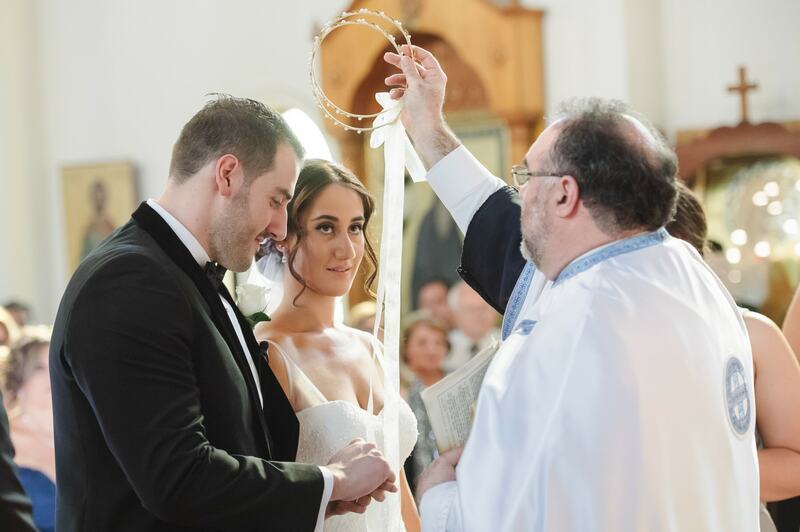 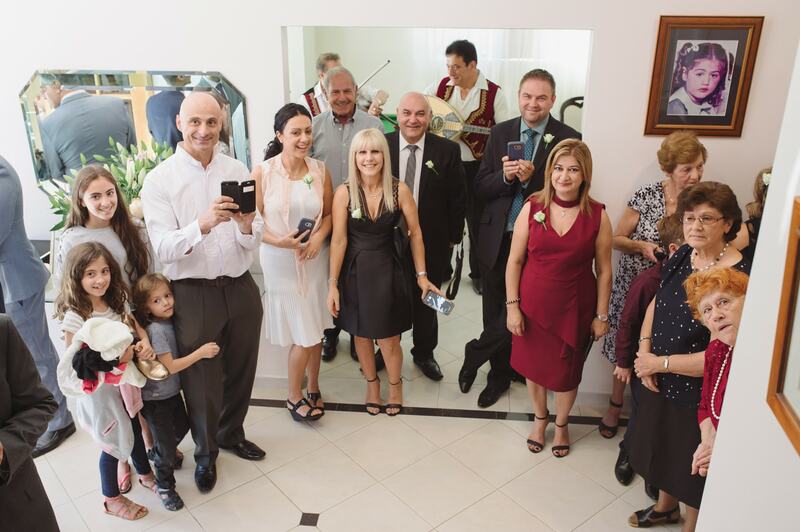 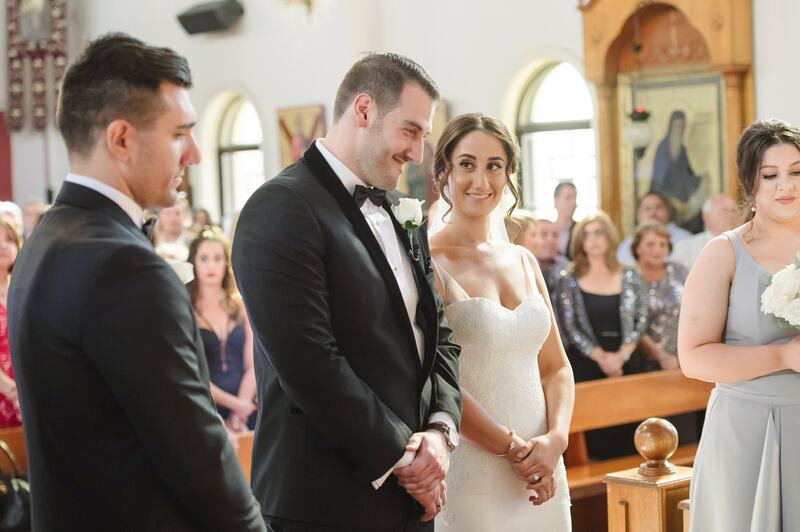 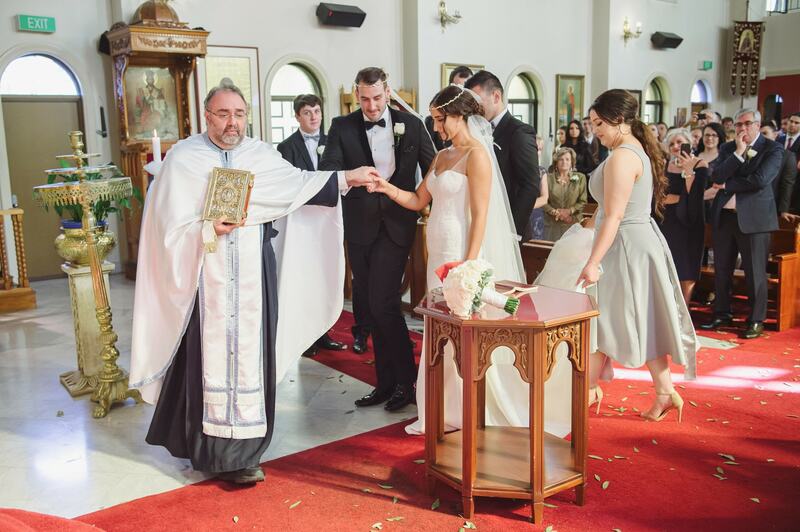 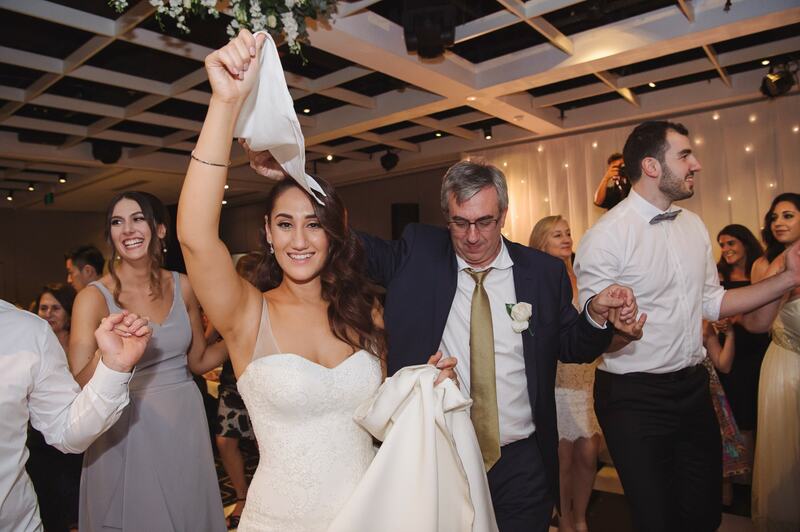 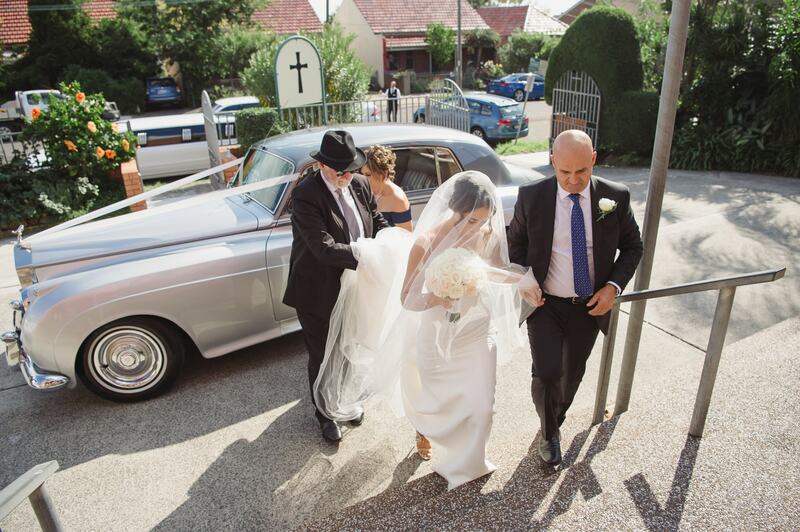 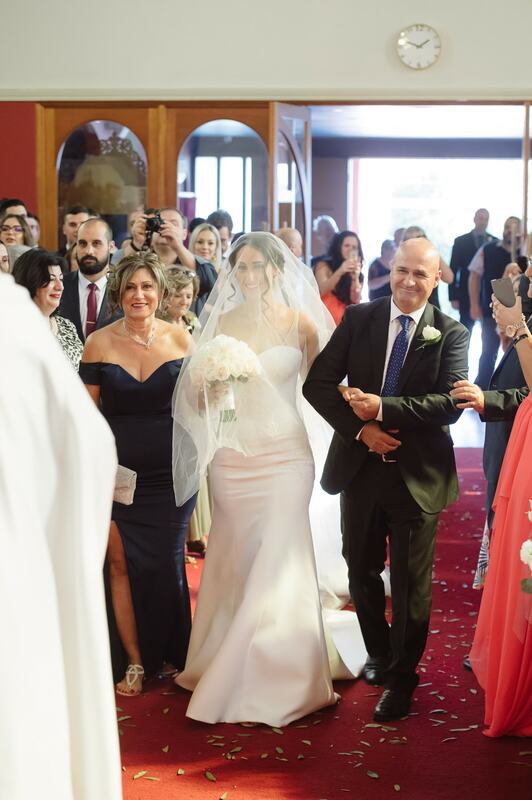 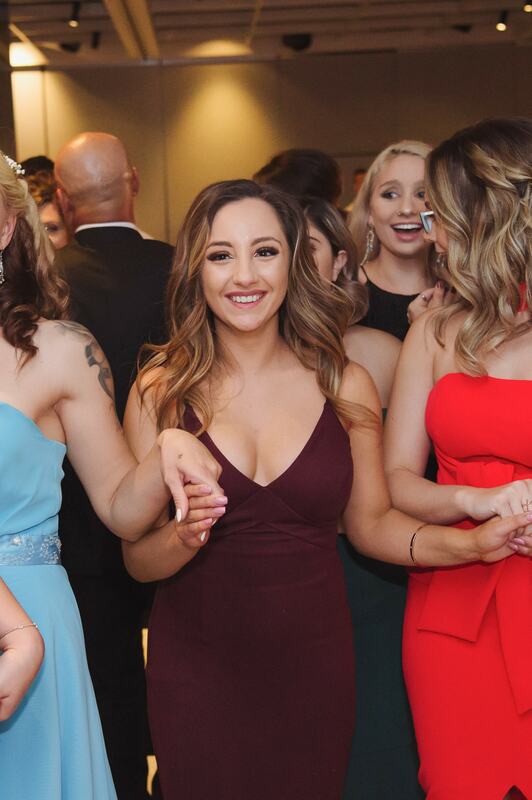 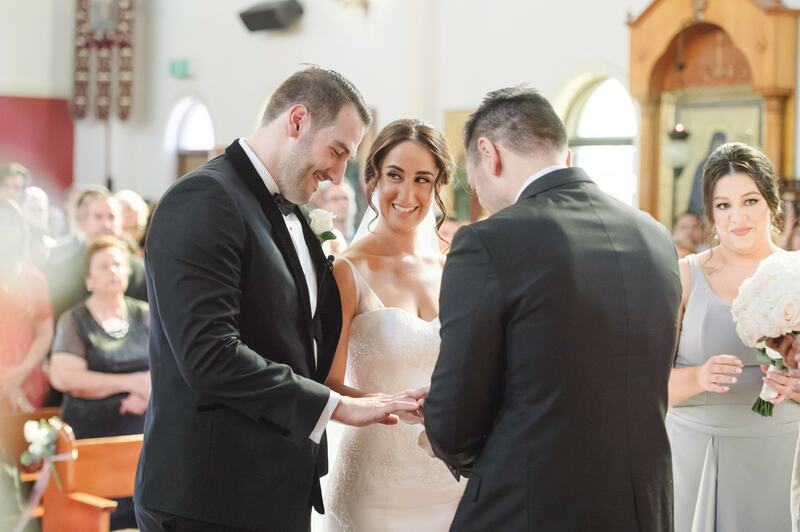 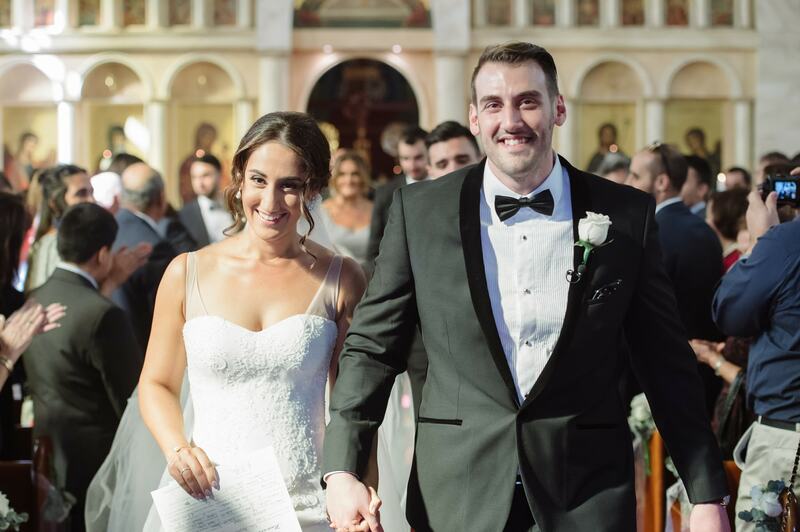 Held at St Gerasimos Greek Orthodox Church in Leichhardt, the ceremony was a traditional one which included the crowning and blessing of the bride and groom, the ribbon to symbolise their unity, and the solemnity and joy as they completed three circuits of the table. 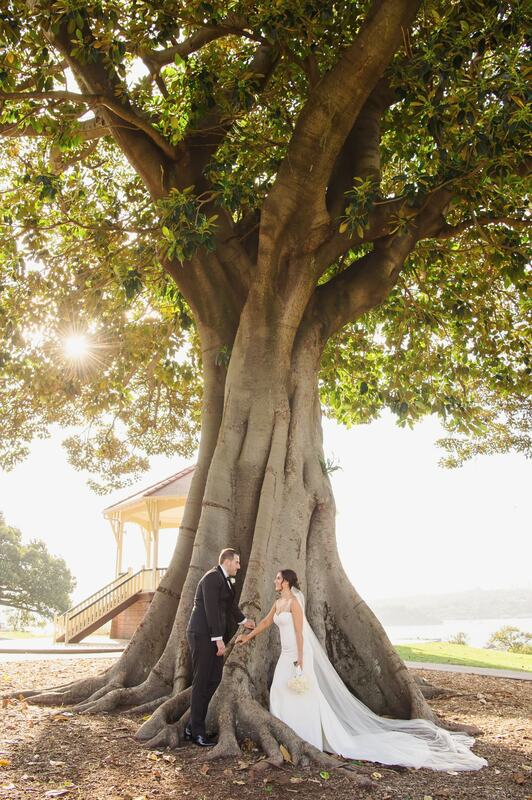 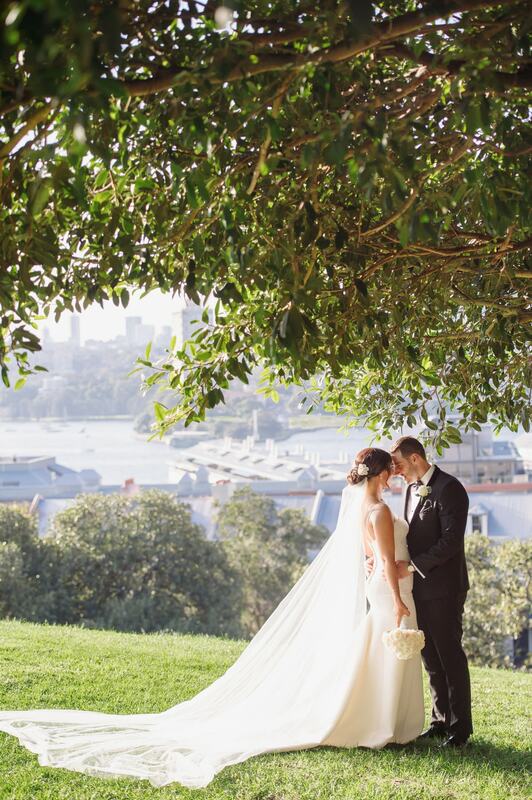 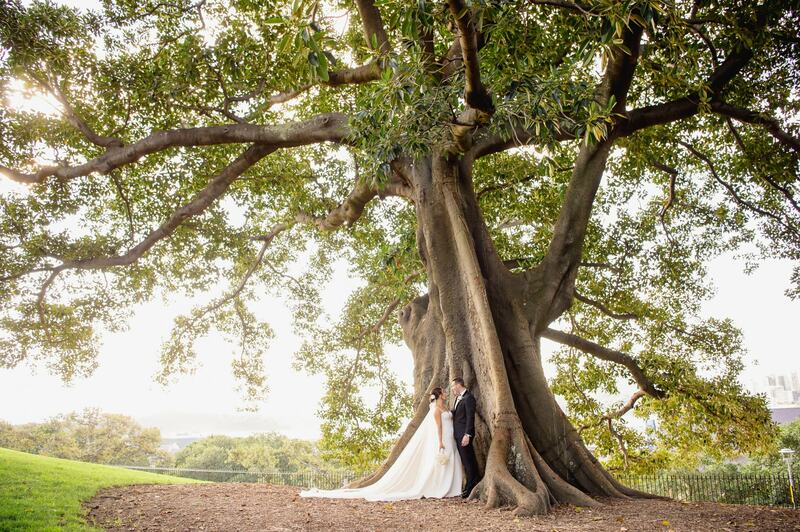 Following an opportunity to meet and greet their guests, the newly married couple was whisked away for a spectacular location shoot at Sydney’s Observatory Hill. 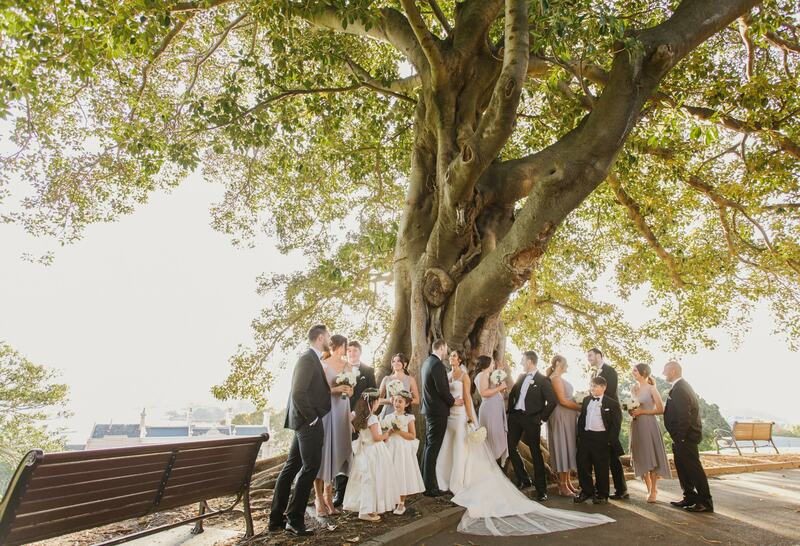 This quiet spot was perfect for sundrenched pictures of the pair and their bridal party. 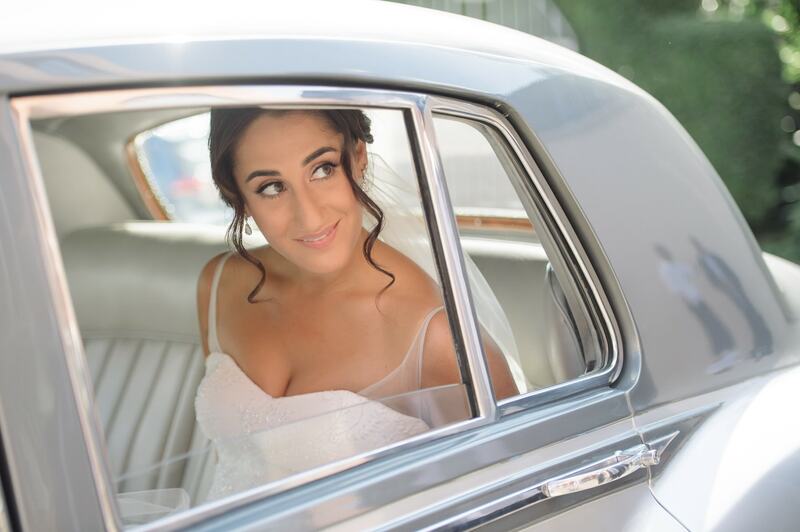 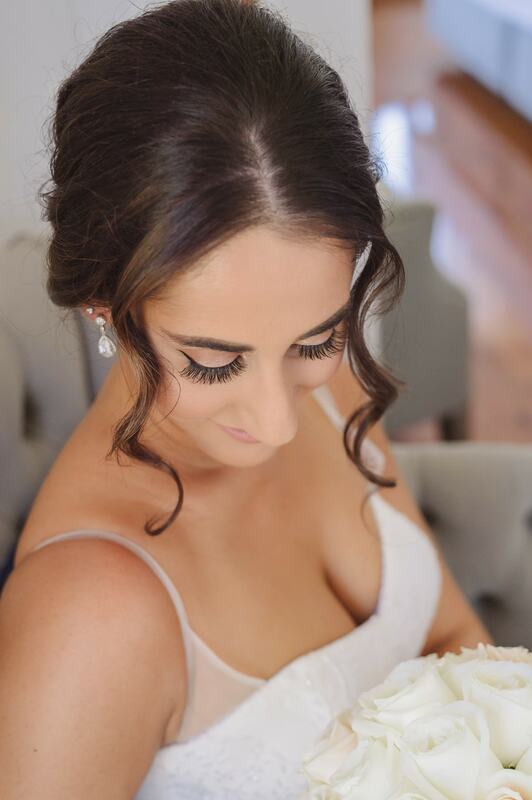 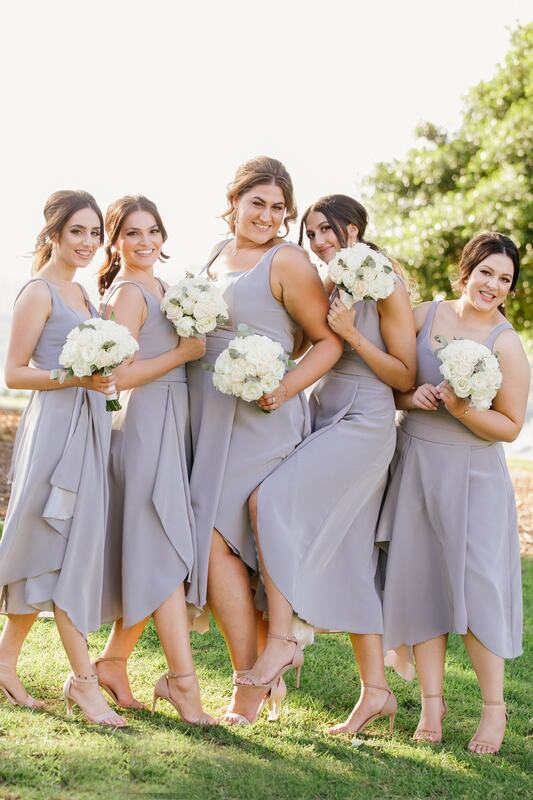 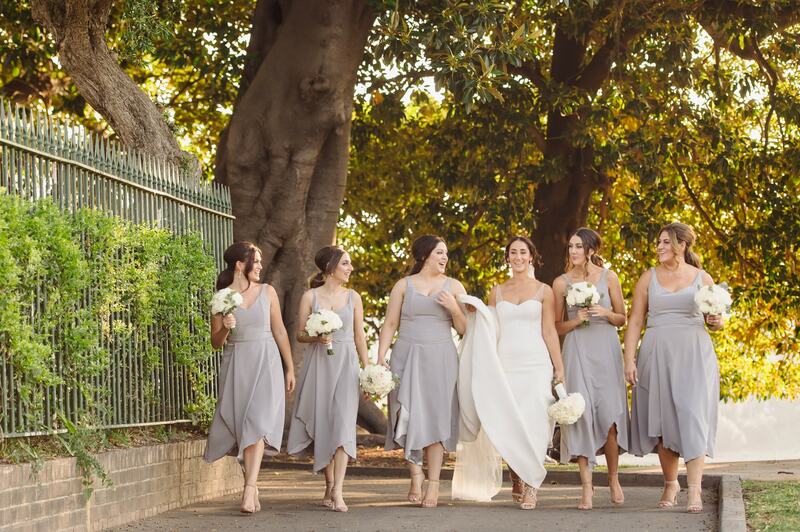 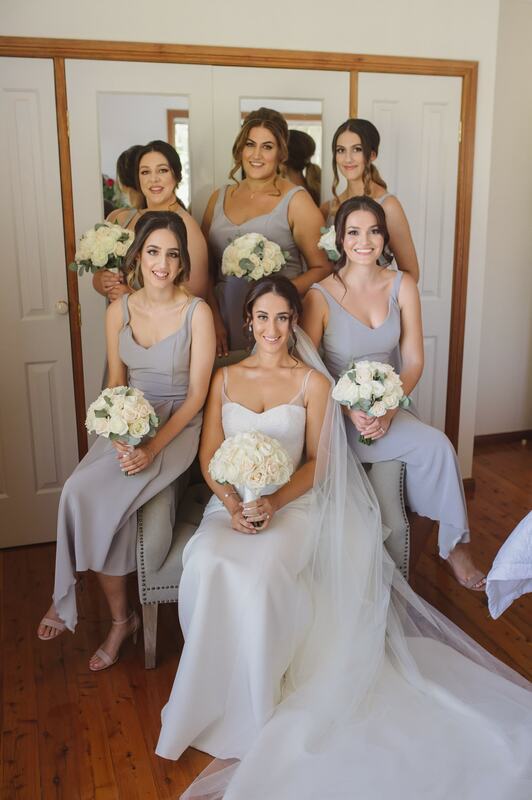 Christina looked radiant in an ivory dress by Personalised Weddings Couture, which featured hand appliqued lace on the bodice and a fitted skirt which flared into a chapel length train, while the bridesmaids wore delicate gowns in soft grey. 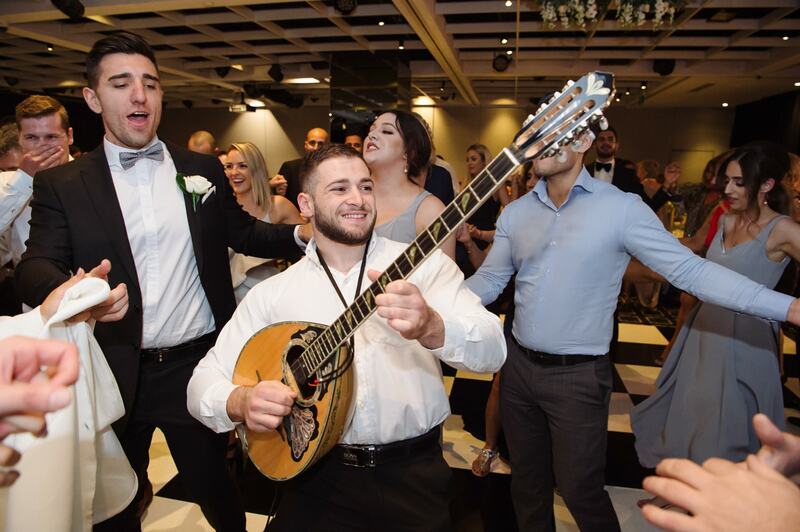 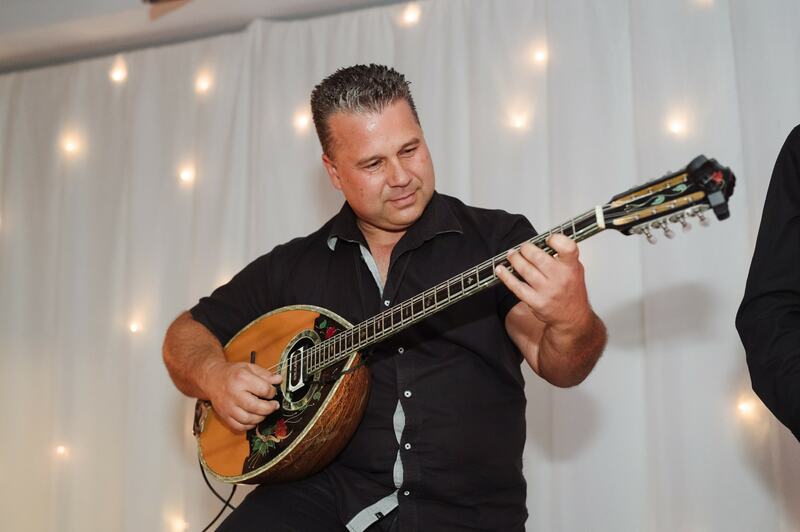 The night was rounded off by a gorgeous set reception and customary Greek entertainment at Doltone House on Darling Island. 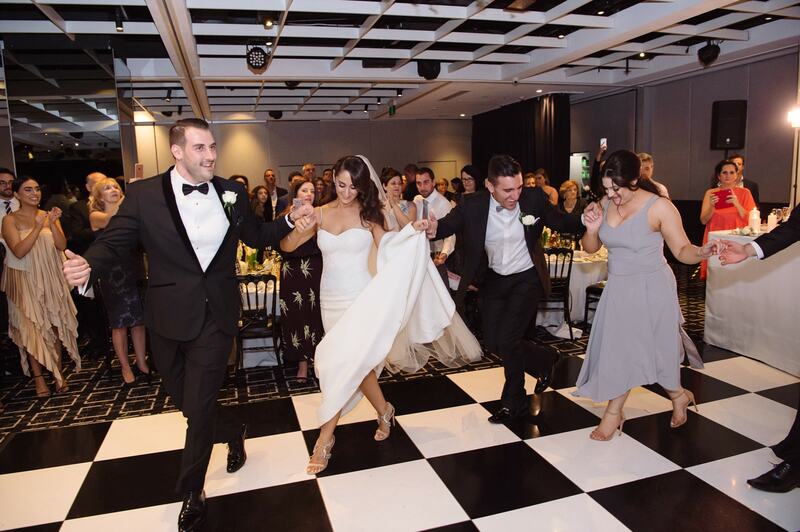 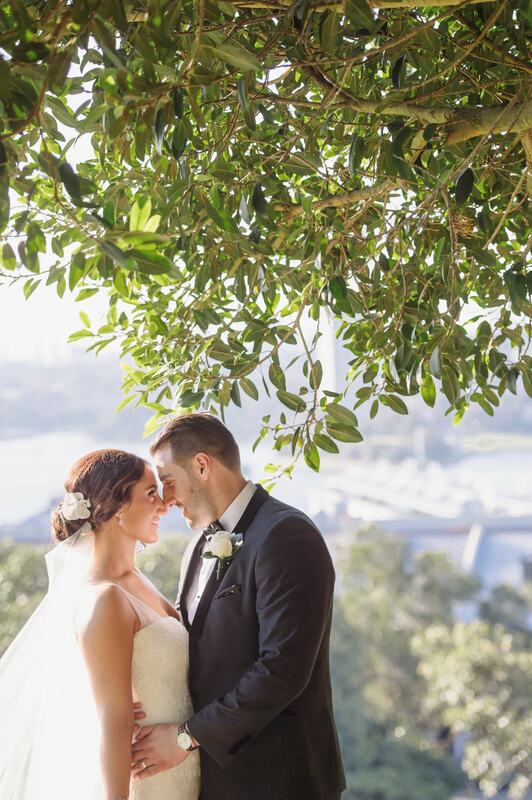 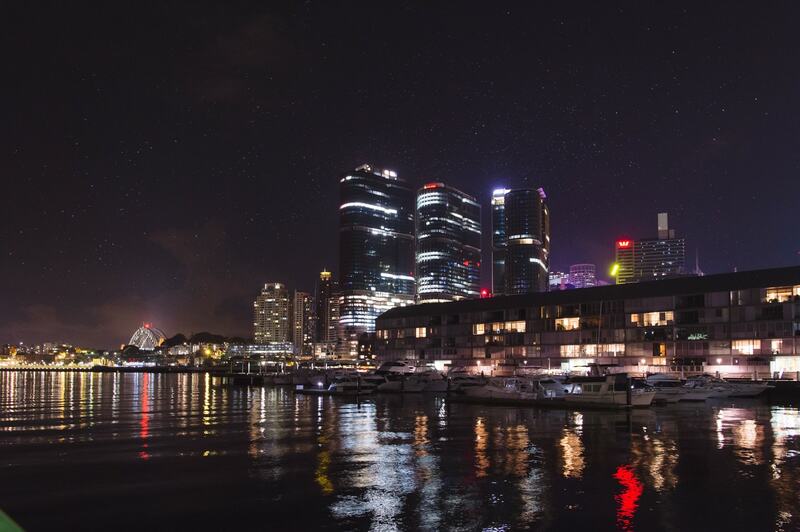 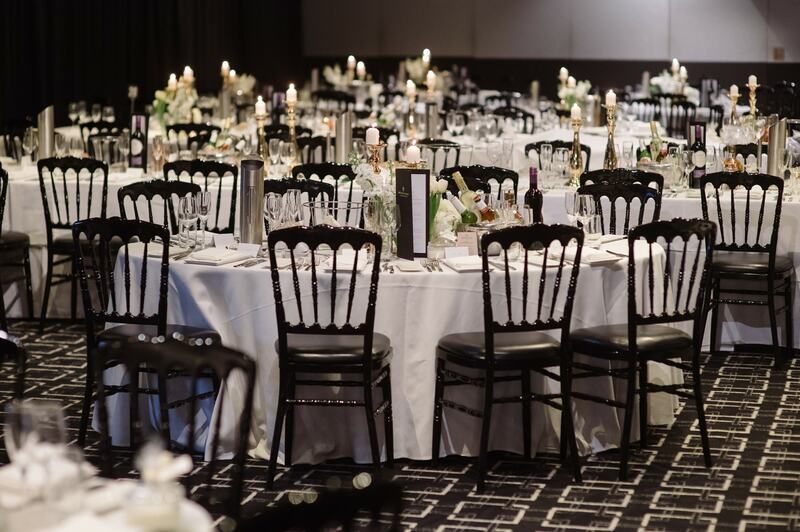 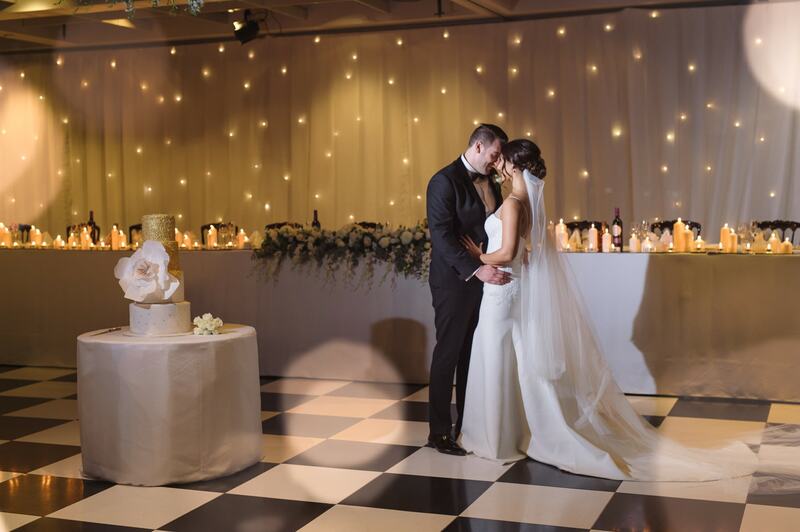 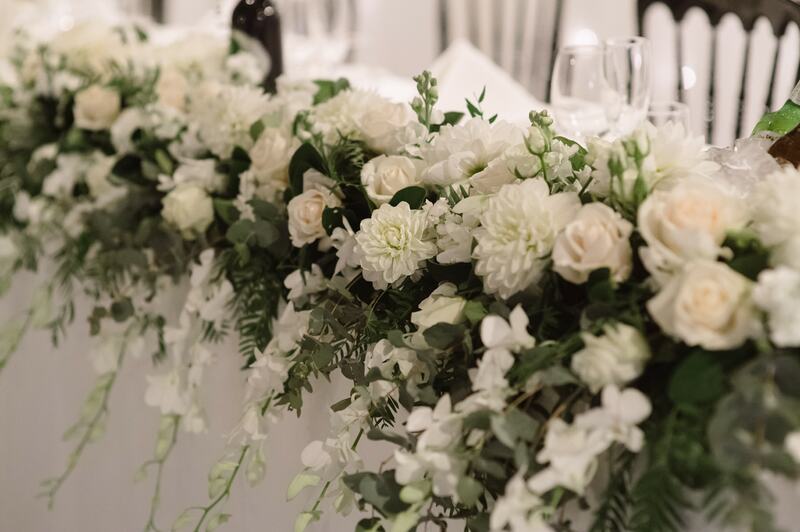 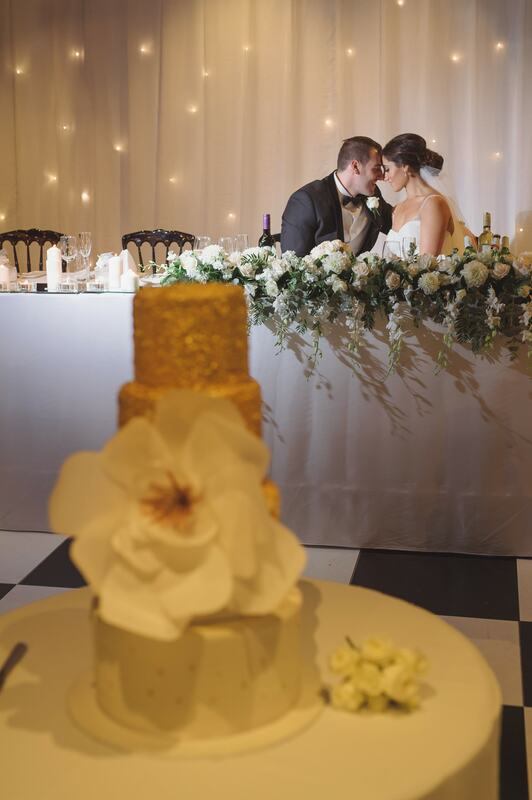 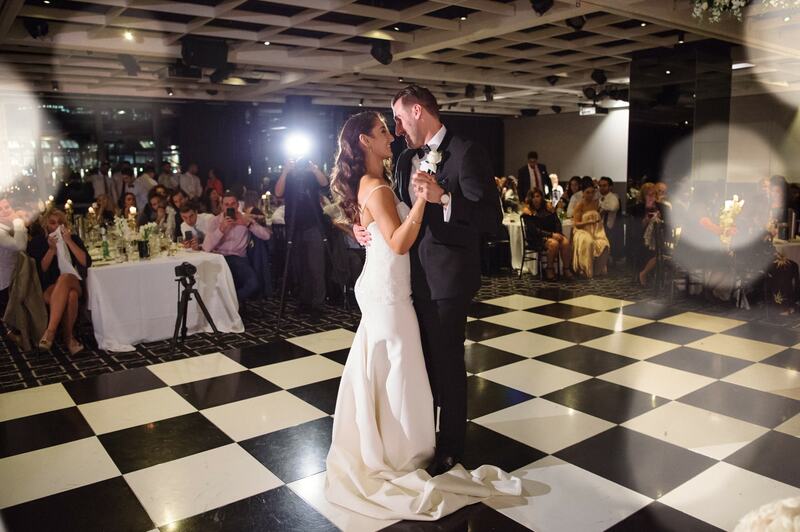 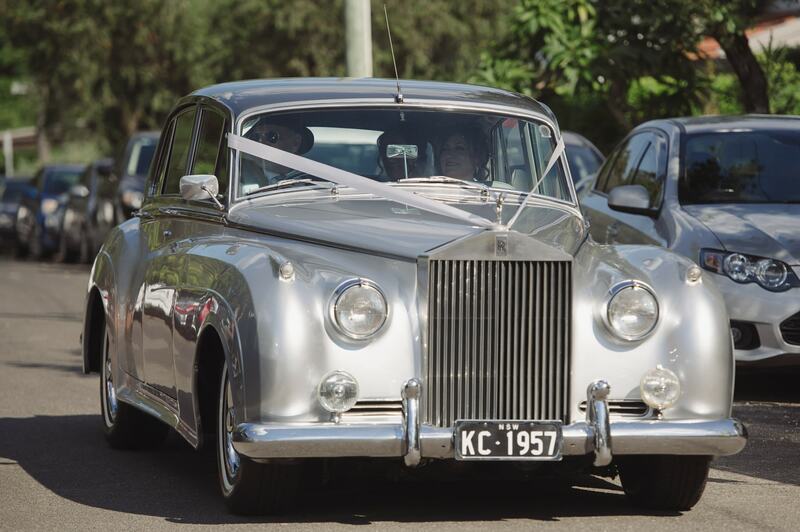 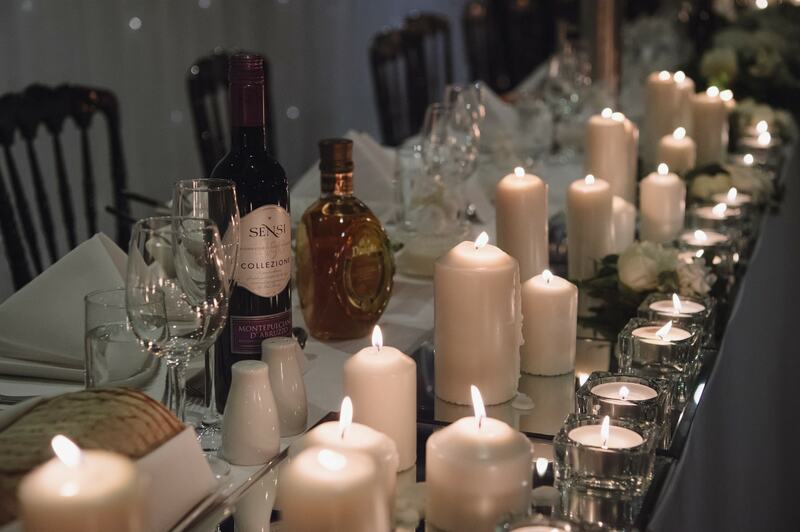 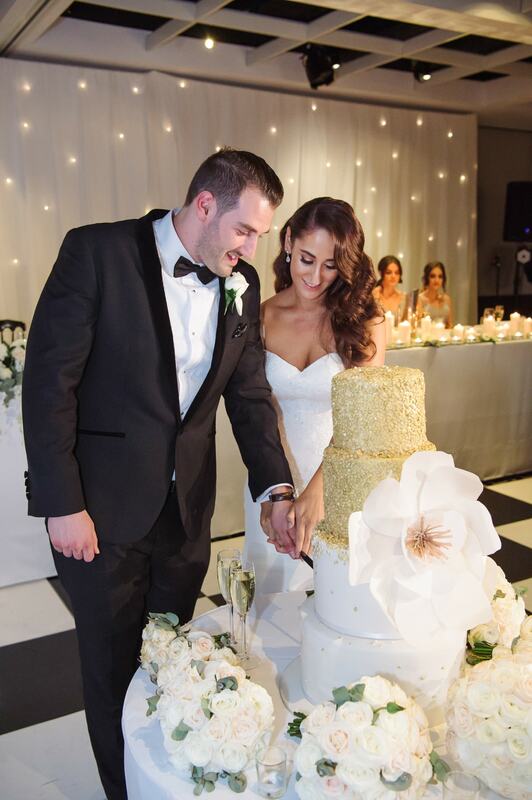 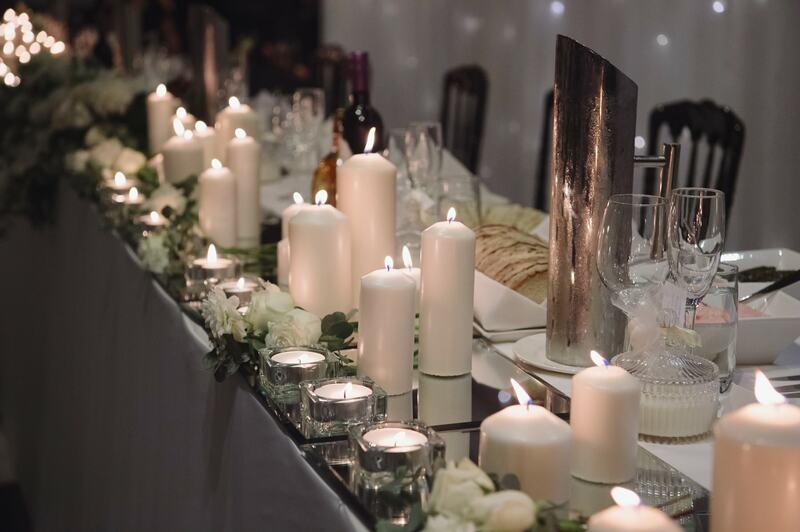 This waterside venue offers modern sophistication in the heart of Sydney, for a wedding that you will always remember. 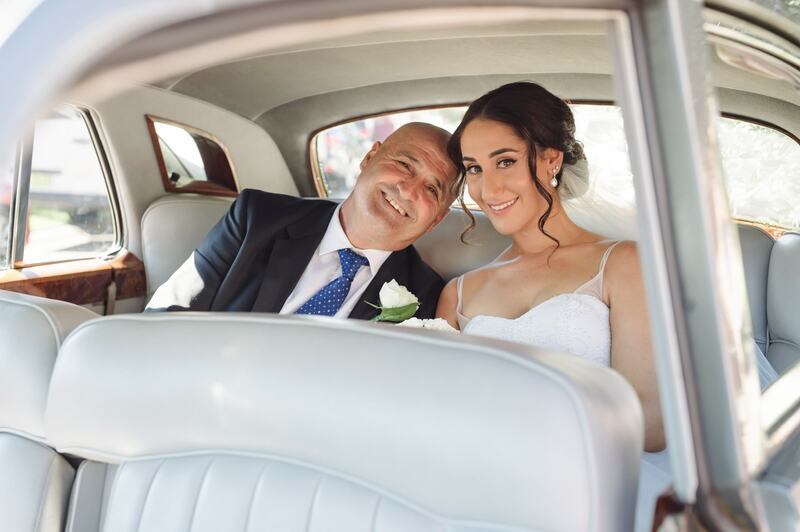 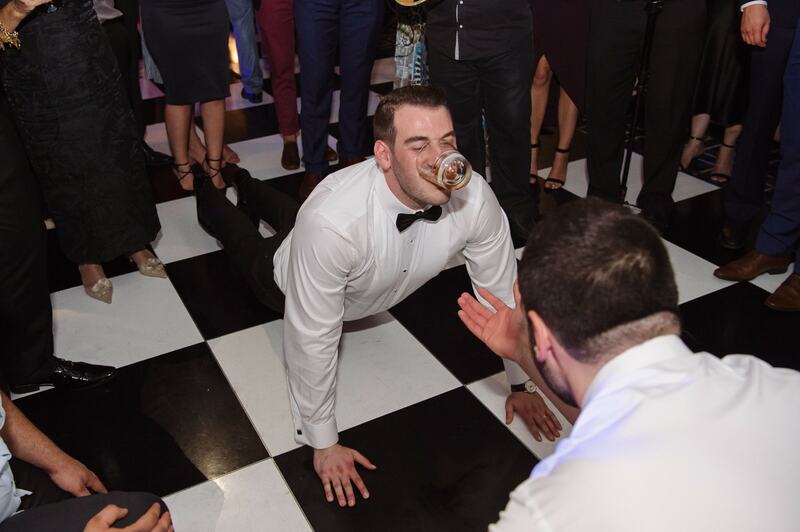 We were so pleased to be a part of Dennis and Christina’s wedding celebration, and hope that you too enjoy the many beautiful moments featured in this gallery.